Since Yuri Lotman and Vladimir Toporov introduced the concept of the “Petersburg Text” in Russian literature, the idea of “reading” urban space through the lenses of a particular literary corpus has become popular among Russian literary scholars. But St. Petersburg also occupied a special place in the imagination of Russian Jews. As the capital of the Russian Empire, the city had the harshest restriction on Jewish residence, and yet it became a major center of multilingual Jewish culture. 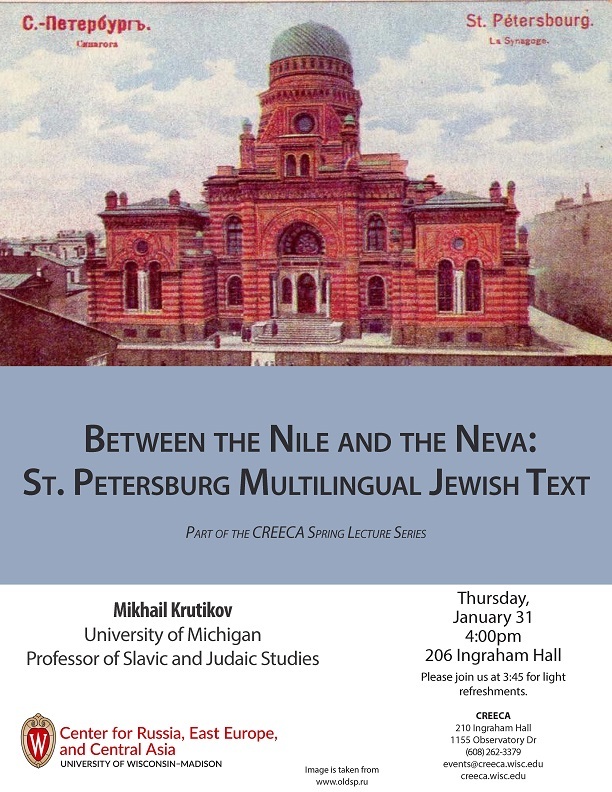 In my presentation I attempt to apply the concept of “Petersburg Text” to the multilingual corpus of Jewish writings about St. Petersburg/Leningrad. I would argue that by exploring the intertextual dynamics of the image of St. Petersburg in the prose and poetry in Russian (by Osip Mandelstam and Lev Lunts), Hebrew (Yehuda Leyb Gordon and Haim Lenski), and Yiddish (by Sholem Aleichem and Sholem Asch) we can gain new insights into the more general problem of modern multilingual Jewish literature.